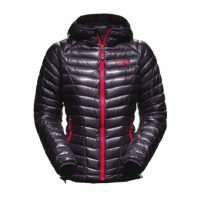 Our favorite down lightweight jacket was the Mountain Hardwear Ghost Whisperer. 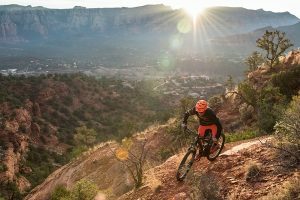 It has the highest warmth-to-weight ratio of any jacket we tested, is highly mobile, and airy yet warm. 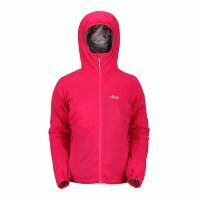 The stand-out synthetic insulated jacket was the stretchy and comfortable Rab Strata Hoody. This layer excels when getting the heart rate up in cool temperatures. 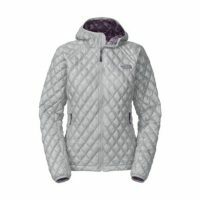 It manages to be breathable, warm and water resistant all at once. 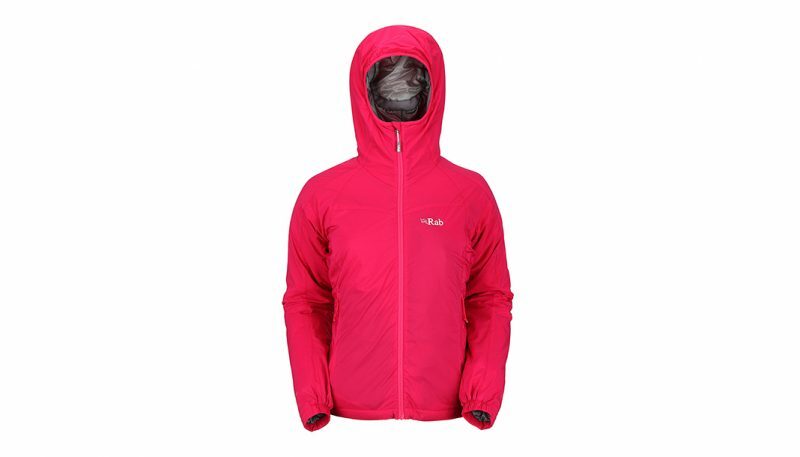 We tested the best women’s lightweight insulated jackets during the winters of 2013 and 2016. We wore these layers both around town and in the mountains. 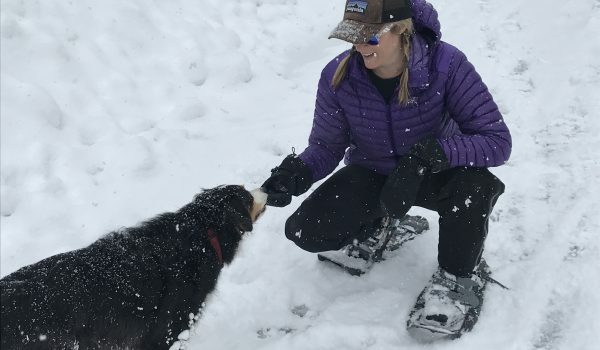 We packed and sweated and shivered in each one and evaluated performance while running, snowshoeing and skiing around Lake Tahoe, California. 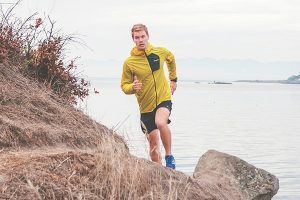 The Rab Strata Hoody is a versatile mid layer jacket that manages to be both warm and weather resistant while being breathable at the same time. 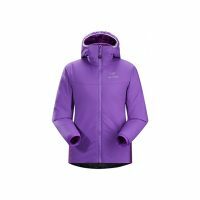 It has many nice features like a large chest pocket and double zippered side pockets. In addition it does pack down into its own pocket though reviewers did wish that it had an extra zipper pull to close it up when packed down. 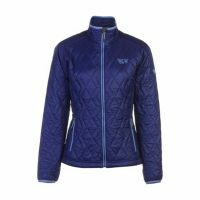 What is a Lightweight Insulated Jacket for Women? 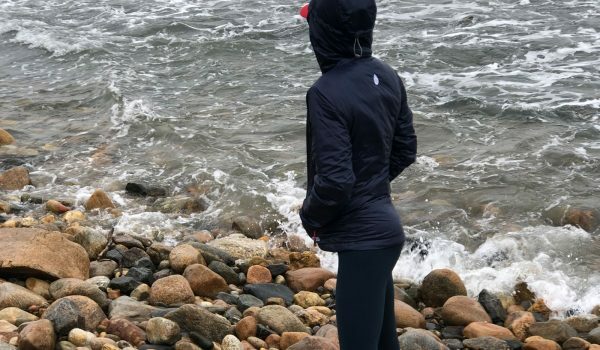 The hip-length, lightweight jackets in this test are best for missions that involve periods of sweaty exertion or for stuffing into a backpack as a backup layer to pull on when the wind starts to blow and the temperature drops. 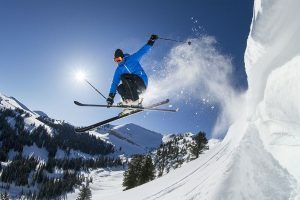 These are the specialized companion pieces to cold weather athletic pursuits such as backcountry skiing and multipitch alpine rock climbing. 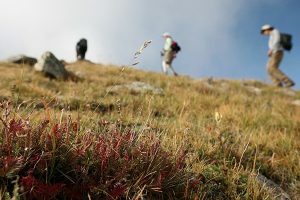 Most of the jackets in this test compress into a stow pocket or a stuff sack, making them easy to pack along, especially on trips where weight matters and backpack space is at a premium. 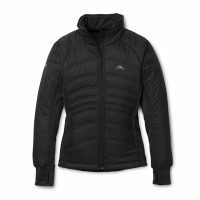 The jackets in the test are filled with either down insulation or synthetic insulation. 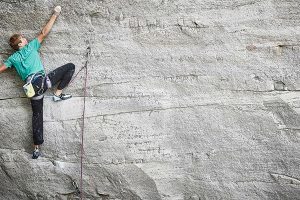 Down is typically more compressible and weighs less, but it can be more expensive and vulnerable to wetness, while synthetic insulation tends to be less costly and more weatherproof, but bulkier and heavier. 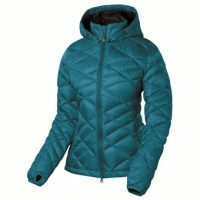 Some down jackets come with water resistant or waterproof exterior fabrics, which extend the weather resistance of the jacket. 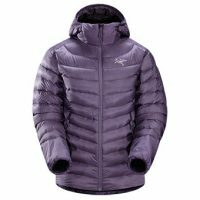 Many companies now treat down feathers with water resistant coatings, which also help to widen the range of weather in which a down jacket can perform. 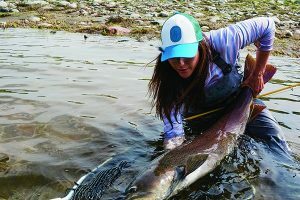 A down jacket requires more care to be taken while wearing it: if you tear a hole in the outer material the feathers can leak out, removing the insulating power of the jacket. Synthetic jackets are the workhorse models. Unlike a down jacket, synthetic jackets have no problems with a few tears here and there. They also maintain insulating properties when damp, which is another advantage over their feather-filled-friends. 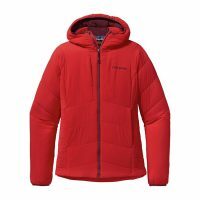 The downside is that synthetic insulation will be slightly bulkier and heavier for the equivalent warmth of a down jacket.